This last summer I did some improv. jamming with Alex Jenkins (tablas) and Tony Passarell (horns/bass/etc.). I played my fake sitar/guitar as we found some droney grooves. 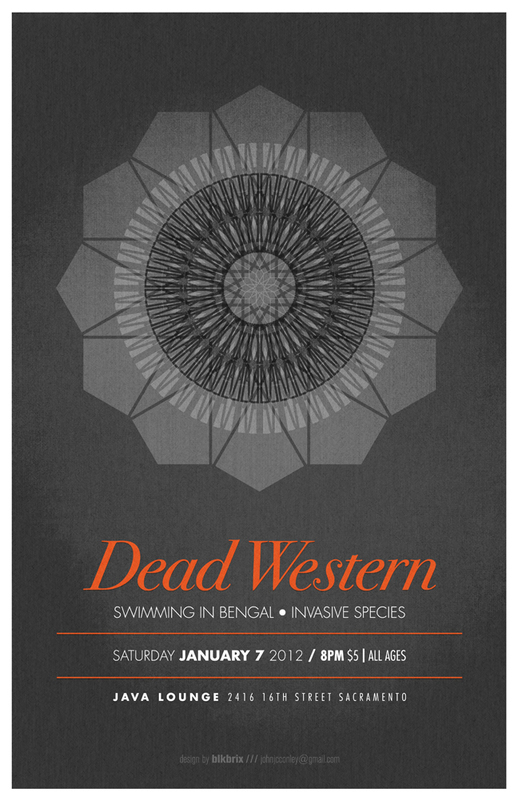 We’re finally trotting this out as Swimming in Bengal. You can hear some stuff from a practice session at our Bandcamp thing. Where will the unpredictable tides of Bengal take us? Will we drown? Joining us is Dead Western, the pre-freak folk freakiest. I’m guessing Troy will be playing some new songs from the album he’s currently working on. Catch DW before he heads out for another European tour. Climb inside Troy’s baritone and you will be free. 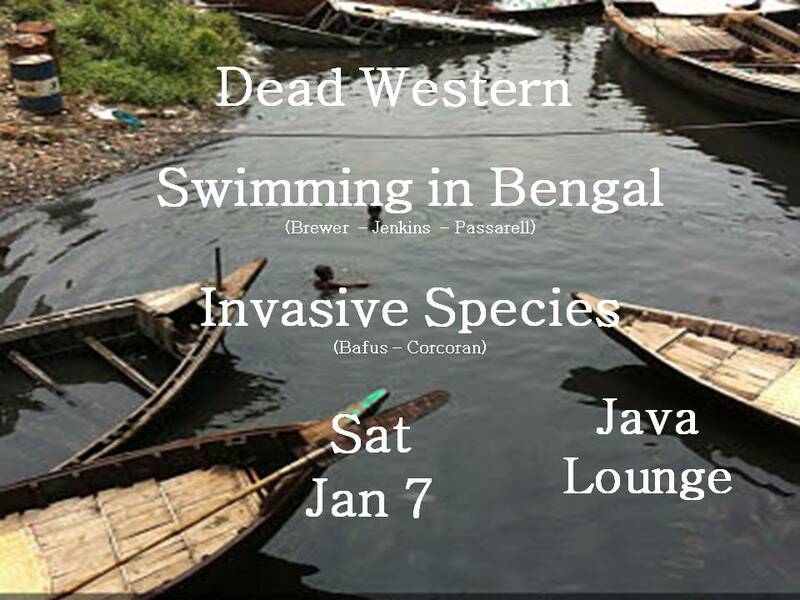 Also on the bill is Invasive Species, the duo of percussion dream weavers Jon Bafus and Kevin Corcoran. Two of Sacramento’s most forward thinking drummer boys, who play in many combos, but rarely with each other. This entry was posted in Uncategorized and tagged alex jenkins, dead western, invasive species, java lounge, jed brewer, jon bafus, kevin corcoran, lather records, swimming in bengal, tony passarell. Bookmark the permalink.